#ThatBusinessShow today focused primarily on Real Estate Mortgages and tips as I interviewed Ryan Takieddine, VP Retail Sales and Mortgage Consultant with MI Mutual Mortgage. Ryan is a graduate of the University of South Florida with a degree in Finance and has extensive experience in the Mortgage business. Ryan was an award winning top producer with Diamond Residential Mortgage in 2008 to 2014 and joined MI Mutual in 2015 as their new Vice President of Regional Sales. Ryan and I discussed many mortgage topics including the FHA 203k loan, a loan product in which you, the borrower, can finance the cost of repairs inside your loan given you will be owner occupying the home. With interest rates at record lows on top of the low down payment requirements for an FHA loan, now is a great time to purchase a new home. Credit challenged borrowers are also encouraged to apply; HUD, who is responsible for the insuring of FHA loans, is very forgiving on borrowers and works to encourage home ownership. We also touched on VA loans and the $100 down program available on HUD owned homes in Florida whereby anyone using an FHA loan can replaced the standard 3.5% down payment with a mere $100 down. You can find the available inventory of HUD homes that qualify for this program at http://www.hudhomestore.com. MI Mutual is the fastest growing lender in Central Florida and has a number of resources available to borrowers and Ryan encourages you to contact him so he can help get you into a home today. Learn more at http://www.mimutual.info/tampa/rtakieddine and Ryan can be reached at 813-493-5626 or email at rtakieddine@mimutual.com for more information! 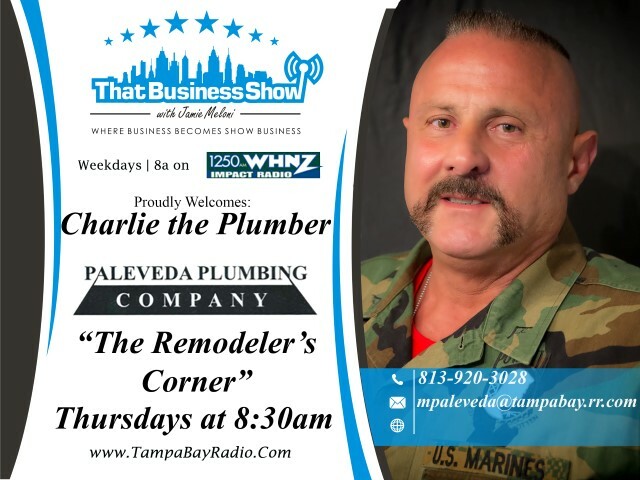 #AmericanPlumber Charlie the Plumber was in studio today as well as part of our weekly Remodelers Corner feature brought to us by Yeager and Company, a third generation flooring and remodeling company based in Odessa, FL. 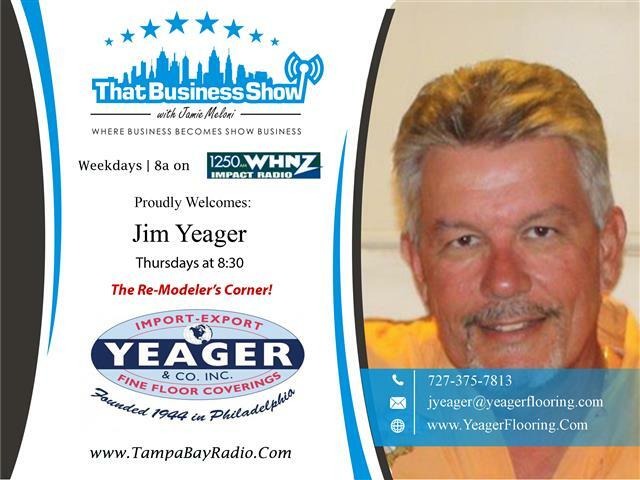 Learn more about Yeager and Company at http://www.yeagerflooring.com and contact them for all your building needs in Florida! Charlie adds some color commentary as always and encourages people to follow him on his new twitter handle @charliezplumber and use the hashtag #AmericanPlumber in all your posts to him!